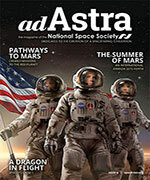 George Abbey, Neal Lane and John Muratore wrote Maximizing NASA’s Potential in Flight and on the Ground: Recommendations for the Next Administration for the James A. Baker III Institute for Public Policy at Rice University. The recommendations are basically to fly the shuttle until 2015, focus on Energy and environment, focus on robotic science, and focus on aeronautics. They favor international over national programs. They favor research enabling solar power satellites for the long term but discount its development until launch costs drop. They also favor use of private launch providers for access to space after the shuttle. Unfortunately they don’t address reducing launch costs or encouraging the development of a private space industry. What the recommendations really lack is the answer to the question, WHY? Why should we fly the space shuttle for 5 more years? Won’t that be very dangerous and expensive? Why should we do space projects internationally rather than nationally. Don’t we want the US to lead in space? If energy and environment are national priorities which NASA should concentrate on, then the development space solar power is the best place to put NASA’s expertise. If we really want space solar power on a large scale then NASA must develop technology to use lunar resources and focus on reducing launch cost. NASA should avoid trying to duplicate the efforts of NOAA and the Department of Energy. 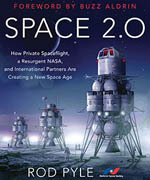 NASA should concentrate on the development of space and space resources for the future of the United States of America. Energy and the environment are critical issue for the future of our country and the development of space solar power is the best way NASA can address the needs of the citizens who have faithfully funded them for 50 years now. Karen, great comments from you, and also very encouraging to see the statements on SSP, even if guarded, from these folks. Thanks for highlighting! We should fly the space shuttle for 5 more years because…It’s the best we got so far? or…what if people in the ISS are in distress? send a rocket with a capsule up…but wait what would cost more? constructing a rocket and preparing it in an expedited manner or(Ares 1 could work actually)… just use what we have for now so we can cause some shock and awe in a couple of years? If we had people in distress on ISS they would be dead before a shuttle could get to them unless we had one on the Pad. I don’t think all humans deserve the same chances because they are humans. We in the United States work hard to pay taxes, to invest heavily in technological development and to have an active space program. I don’t see any reason why we should not have a thriving American only moonbase. We might want to reward our alies by giving them the right to buy in. I would suggest we claim some territory up there if it didn’t violate the treaty, but property rights in space don’t matter if you are the only one who can get there.